Last night was the Finale for season 9 of American Idol and also Simon Cowell’s last night on the show. Simon is is leaving the show to start his US version of X-Factor which is a music contest show similar to American Idol with him being one of the judges. The show has been a hit in the UK for several years. It is not known who the judges will be on the version of X-Factor, but it was rumored that Simon was in talks with Victoria Beckham. 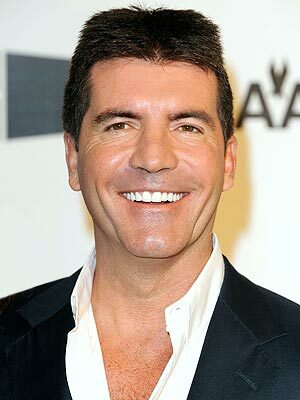 It is also has not been decided who would be replacing Simon next year at American Idol. On the Finale, Lee Dewyze was crowned the winner and Crystal Bowersox took 2nd place. It was a surprise to many that Crystal did not win as on the night before, the judges seemed to favor Crystal as the winner. Ryan Seacrest announced that the winner won with a difference of 2% in the votes. Several artists performed at the final, including Alice Cooper, Bee Gees, Christina Aguilera, Alanis Morrissette, Hall & Oats, Joe Cocker, Brett Michaels, Chicago, Janet Jackson, Kris Allen and Carrie Underwood. In addition, several group performances included past American Idol winners and top 10 finalists. Paula Abdul also was present at the show and came on stage to speak about Simon’s departure.